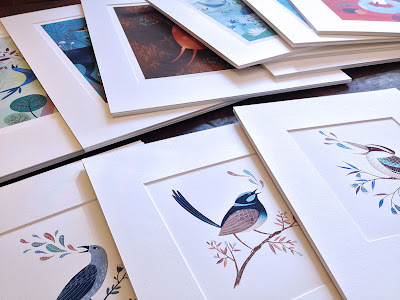 I've been mounting prints today in preparation for the Abbotsford Convent Makers' Market this Sunday, April 21. I'll be there from 10-4.00 with fellow artist Sandra Eterovic so do come along and say hi! The market is held indoors in the gorgeous old convent building; it's worth a visit even just to enjoy a coffee or some lunch in such a lovely setting.